You forgot to pack your hiking shoes. No need to wait in line at the store for a pair. You know you can just hop on your phone and have Amazon deliver them right to your hotel room. It’s the age of Bring It To Me, where you can have just about anything you could ever want brought right to your front door, or hotel door, as it were, if you’re traveling. Food delivery is nothing new. And even if a restaurant itself doesn’t deliver, there are plenty of delivery services that will pick it up for you and do the transporting. In Boulder, you can order food from Eat24.com (everything from curry to burgers) and Hungrybuffs.com (this website has 136 different restaurants in Boulder, including tacos, vegan and fine dining). Then there’s DoorDash and GrubHub, just to name a few more. 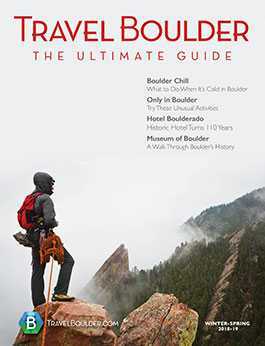 But as you stretch back on your hotel bed after a long day exploring the Flatirons, pick up your phone and make a wish; we bet you didn’t know you could get these 15 things delivered right to your room. 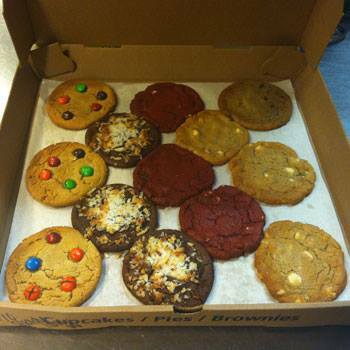 Cookie delivery is so big in Boulder there’s not one but two different cookie delivery services: Boulder Baked and Insomnia Cookies. Insomnia even offers vegan and gluten-free cookies, plus cookie sandwiches and cookie cakes, and delivers late-late, until 3 a.m. Ask Boulder Baked about its cookie of the day. Got sore muscles? No need to, uh, move. Zeel.com offers massage delivery straight to your door. Get a massage on demand (in as little as an hour, if needed) by a certified massage therapist seven days a week from 8 a.m. to 10:30 p.m. — 365 days a year. Grocery delivery, in itself, is no surprise. Many grocery stores, from Walmart to Alfalfas in Boulder, will do your shopping and bring it to you. So will companies like Instacart.com (which delivers King Soopers in Boulder). But did you know several hotels in Boulder offer grocery delivery as a free standard service for guests? The Residence Inn Boulder Canyon Boulevard hotel, which specializes in extended stays, offers free grocery delivery service, which is convenient because the rooms here come with fridges. 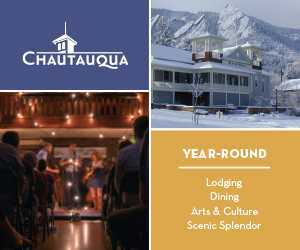 Chautauqua cottages also offer guests grocery delivery. There are so many reasons you might need alcohol delivered to your room. You’re in the middle of eating (room service nachos in bed, mmm) and you run out of beer. It’s been a rough day and you just crave a shot. You’ve (responsibly) had a few at the hotel bar and want a bottle for your room but it wouldn’t be safe to drive. Call Mini Bar Delivery. This service brings wine, beer and liquor to you. Boulder’s Liquor Mart also offers free delivery with a minimum purchase of $50. (Less than $50 and the delivery fee is $10.) You can place your order online for next-day delivery or call the store for same-day delivery, offered until 10 p.m. Friday and Saturday in city limits (and not as late other days). It goes without saying you need to be 21 or older to receive the delivery. 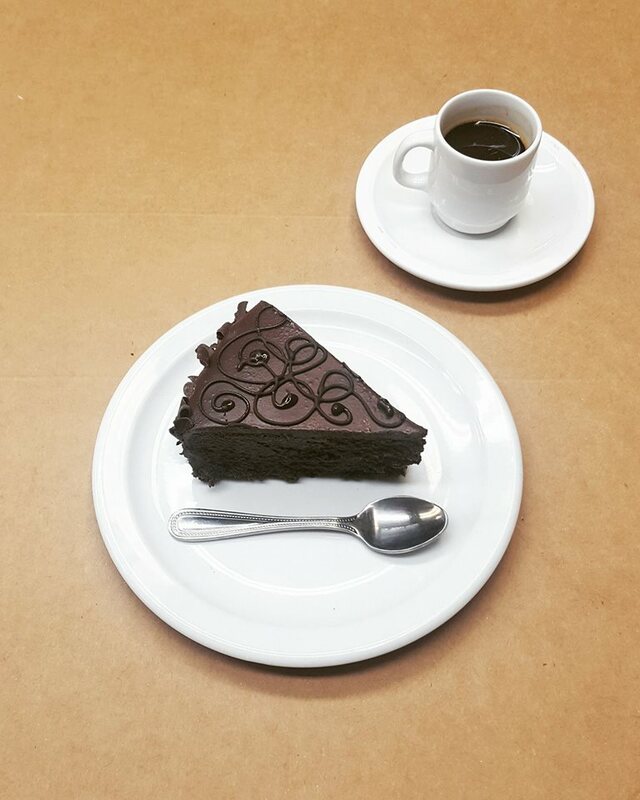 Seriously, what sounds more indulgent than having a glorious chocolate cake delivered to your doorstep? Boulder-based Piece, Love and Chocolate delivers cakes for $15 in city limits (that plus mileage beyond city limits). There’s a $30 minimum order for delivery, but that’s no struggle because realistically, most people use this for weddings and special events. But that doesn’t mean you have to. Every reason is the right reason for cake. You can have weed delivered to your door, just like pizza. Weed On Wheels will drive marijuana to you. It offers a menu of bud, edibles, hash, wax, concentrates and beverages, plus related accessories. Just place your order online (or even just text or send a Facebook message). One catch: Check with your hotel before smoking up. Most hotels in Colorado don’t allow consumption of cannabis on hotel premises, including balconies. They’re considered a public place. Need to realign your energy flow but don’t want to leave the building? The Boulder Canyon Acupuncture Clinic has a mobile acupuncture service. Get a full acu treatment in your hotel, home or wherever you need it. Kind of like an old-school doctor house call. But with an Eastern medicine spin. Acupuncture delivery is $150 within 20 miles of the clinic’s location in Boulder, and added costs for farther distances. 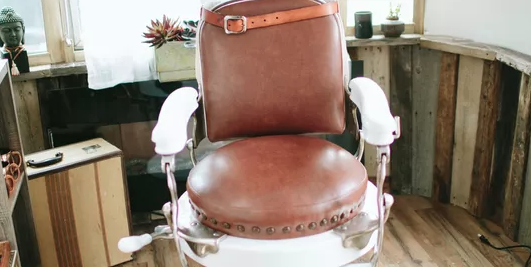 If you forgot to get your hairs did before heading out on vaca, call the Ember Hairstream. This Golden-based business is a mobile hairstylist that is stationed out of a renovated vintage 1977 silver Airstream, aka the Silver Beauty Queen. Ember Hairstream is ideal for weddings and group stylings; the Airstream is a fully functioning salon, equipped with water, electricity, a small kitchen and even separate men’s and women’s areas. Get your hair washed, cut, styled and even request to have your makeup done. You’ll need to book this service well in advance. It’s pretty popular, for obvious reasons. Boulder is so dang dog-friendly that it offers a variety of mobile dog groomers, like Doggie Stylin’. This “doggie makeover service” will polish up your pooch wherever she’s at. This can be a lot less stressful for dogs than going into a groomer, where there are other dogs and they might need to be left in a cage. Plus, the diva dogs will appreciate the one-on-one attention. Doggie Stylin’ washes and cuts dogs in Boulder and the surrounding areas. So you want to go skiing but you didn’t have space in your carry-on for dem skis. Call Mountain Threads. This Golden-based ski equipment shop will deliver gear to your hotel or rental property throughout Colorado. The delivery: $30, but that includes both delivery and pick-up. Save money by planning ahead. If you book five or more days in advance, your delivery is half off. How many times have you been cranking away on deadline (or exhausted after a long night) and fantasized about someone just knocking on your door and handing you a latte? Lazy Buffs will make your dreams come true. Lazy Buffs offers coffee delivery; get a latte from Friends with Benny’s or a Starbucks double-shot from the Smelly Deli. While chatting with Lazy Buffs, note the other random things they can deliver, including but not limited to: cold and flu medicine, Band-Aids, tobacco products, air fresheners, garbage bags, energy drinks, torches and butane, tampons and sports drinks. Probably not recommended to use all at once but hey, it’s your vacation. This one’s too sweet. Boulder Baked offers special care packages that you can send to a CU student or traveler who needs some extra love. A birthday cake on her special day? Ice cream after a break-up? Cookies and coffee during finals week? Chicken noodle soup when she’s sick? Oh, yes. All of the above. And on quick notice, too. Boulder Baked can get that “study pack” out within an hour’s notice. Let’s say, hypothetically, you are in a Situation and you need quick condoms but don’t want to leave your hotel room. Call Hungry Buffs. They can bring you condoms. As well as phone chargers, toilet paper, wet wipes, Plan B and Doritos, depending on what else the night might call for. Netflix and Ben & Jerry’s, anyone? Ben & Jerry’s ice cream in Boulder offers catering and will deliver ice cream to your special event. For a smaller batch delivery (for example, directly into your solo face), many of the food delivery companies include ice cream parlors, and the cookie delivery spots can also deliver their sweets a la mode. Hmm, how can you make a spa even more relaxing? How about by not having to go anywhere, ever? Longmont-based Ahhh Mobile Spa brings spa treatments to you. Licensed pros offer mini manis and pedis, mini facials and sugar scrubs for hands and feet, as well as table and chair massages and reflexology. Here’s how to level up your bridal shower. This mobile spa offers free delivery within 20 miles of Longmont. If you’re farther, additional fees apply.